Sport boat hull maximizes waterline. Large comfortable cockpit. 500 lb. 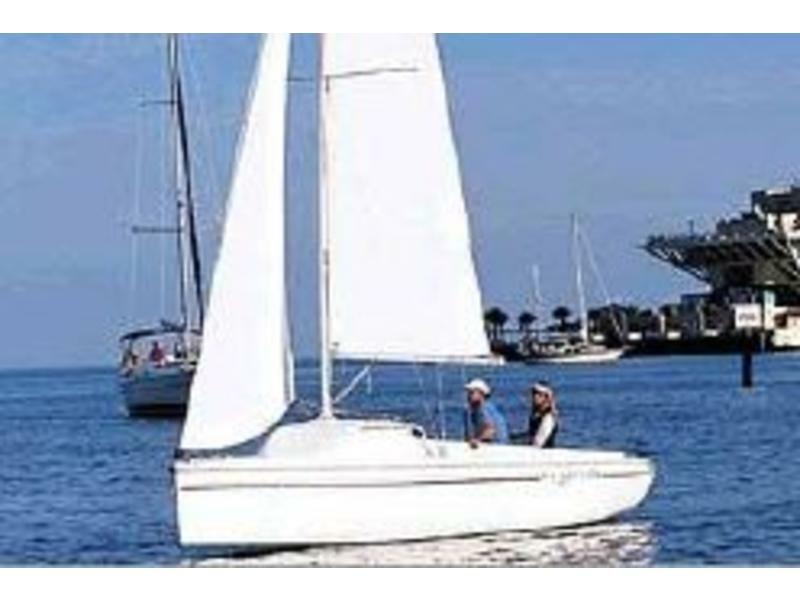 centerboard gives boat excellent stability. Hydraulic centerboard handle. 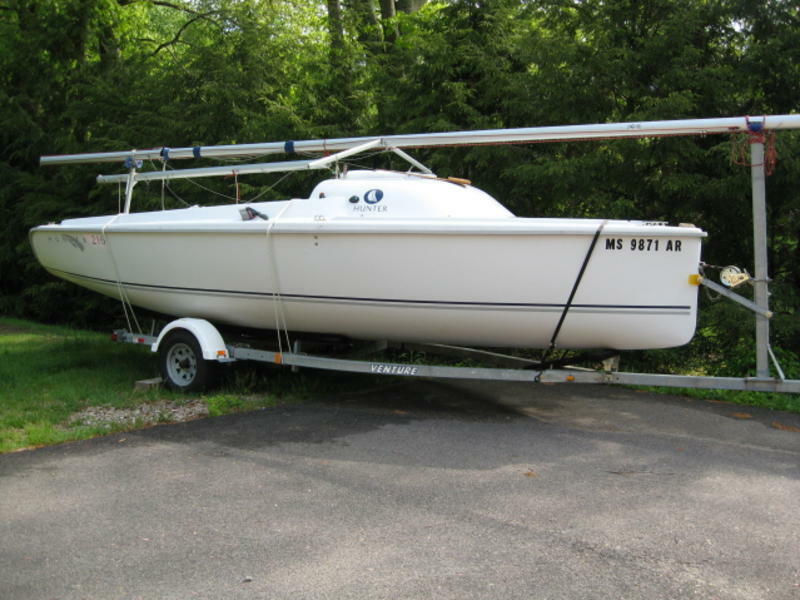 Boat only draws 6″ with board up, which allows beaching in shallow water and eases loading onto trailer. 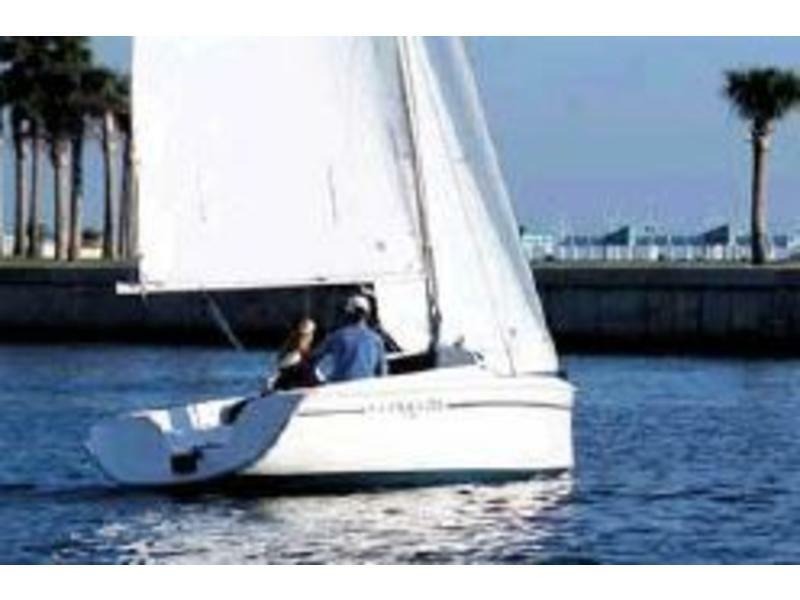 This boat has 252 square ft. of sail and is a BLAST to sail!! !